​But what is the long-term legacy of normalised corruption? Can petty tax corruption have a positive impact on business innovation? The notion seems anathema to a sense of logic and morality, but a new study suggests it could be true. In their paper, The impact of petty corruption on firm innovation in Vietnam, researchers Ngoc Anh Nguyen, Quang Hung Doan and Binh Tran-Nam find that petty tax administration corruption is widespread in Vietnam, with business people often bribing tax inspectors. Two principal factors complicate efforts to crack down on the practice: first, at a macro level, Vietnam’s tax collection regime appears to do well (meaning there is little incentive for tax authorities to effect change); and, second, businesses treat such bribery as part of their normal operating costs and a means of ensuring business certainty (facilitating new product, process and general innovation). “These results imply that petty tax administration corruption has some beneficial effects on manufacturing innovation, at least in the short term,” says Tran-Nam, a professor in the school of taxation and business law at UNSW Business School. What is the upshot? The job for tax corruption fighters in Vietnam is tough. Conceding that the findings in the paper are controversial, Tran-Nam personally argues that, in the long term, tax corruption could erode business integrity, innovation and the strategic capability of manufacturing firms. The Vietnam-born researcher says business bribery is the direct result of regular visits to firms by tax inspectors. In that regard, new technology platforms provide the prospect for change. “This kind of face-to-face interaction is likely to be reduced in the future due to digitalisation,” Tran-Nam says. The spectre of corruption is not new to Vietnam. While the Southeast Asian nation has achieved an impressive economic turnaround in the past few decades, it still faces significant social, business and political challenges. The TRACE Matrix measures business bribery risk among 199 countries and last year ranked Vietnam 175th, putting it in the ‘very high’ risk group. Mat Tromme, a senior research fellow at the Bingham Centre for the Rule of Law in the UK, has previously worked in Vietnam as a technical adviser for an anti-corruption project. 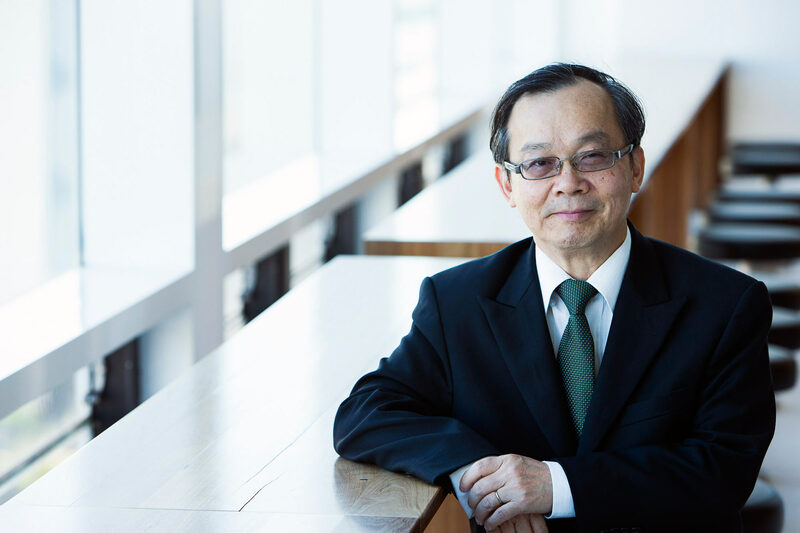 He says many corruption theory studies, both internationally and in Vietnam, have analysed the effect of ‘greasing’ versus ‘sanding’ the wheel of corruption. “Anecdotal evidence suggests that businesses willingly engage in corruption because it’s the normal way of doing things in Vietnam, which implies that firms would likely miss out on opportunities if they didn’t bribe,” Tromme says. While Tromme believes Vietnamese society is acutely aware of corruption, options in response are limited. Forces for change could include an educated population, a well-informed and active citizenry, and pressure from international stakeholders. The Vietnamese government imposed its Anti-Corruption Law in 2006, but corruption continues to flourish despite efforts to put alleged criminals before the courts, including high-profile officials and bankers. Tromme says the likely impact of such an anti-corruption campaign is unclear because any actions are often the result of political in-fighting between different factions in power. They may achieve two goals: first, internal warfare; and, second, be perceived by the populace to be tackling corruption. “So some people see this for what it is – a smokescreen – and know there are serious corruption problems in Vietnam that are yet to be addressed,” he says. From Hanoi and beyond, business bribes are one of the most common forms of corruption in Vietnam. The Vietnam Chamber of Commerce and Industry (VCCI) conducted a national survey of more than 2500 registered businesses in 2015. The survey indicates that 32% of registered businesses in Vietnam had to make unofficial payments and 40% believed that their businesses would be poorly treated without bribery. Tran-Nam acknowledges that despite growing public concern about malfeasance, very little is known about tax corruption in Vietnam. He and his co-authors want to help shine a light on bribery and spark a broader debate about the issue. They suggest that four key elements contribute to a climate of corruption in Vietnam: political (a lack of transparency, accountability and will to fight corruption); institutional (the absence of a competent public sector, and the existence of job-buying practices); cultural (a compromising and paternalistic culture within the extended family of the local community); and economic (low wages in the public sector mean tax inspectors and others cannot survive on their official salaries). “Corruption is currently widespread and severe in Vietnam,” Tran-Nam says. He argues that tax corruption leads to a number of harmful outcomes relating to social welfare and economic development. For a start, it reduces the tax revenue collected and hinders efforts to spend money on much-needed public services such as health and education. It may also lead to greater uncertainty and higher business transaction costs, which ultimately stymies business innovation and investment. While firms may enjoy some short-term benefits from tax corruption, Tran-Nam believes it can diminish their long-term business integrity and strategic capability. Less apparently, tax corruption harms the policy equity of the tax system, with those who enjoy the benefits of bribes tending to be higher-income individuals. Tromme says discussions have already started in Vietnam about the negative impact of corruption on the country, but he argues more concrete and tangible action is needed. To break the “vicious cycle”, Tromme suggests multiple stakeholders must work together and tackle the notion that corruption is a “normal way of doing things” in Vietnam and, therefore, that it does not need to be challenged. To encourage reforms, Tran-Nam wants to bring the findings and the implications of his study to the attention of various stakeholders in Vietnam’s tax reform process. They include the Office of the National Assembly, the General Taxation Department, Oxfam Vietnam and other private and government think-tanks. He notes that the study has captured only the short-term effects of petty tax corruption. “For the sake of Vietnam, I hope that the results we have derived do not hold in the long run. If businesses continue to accept corruption as a normal practice, and internalise tax bribery as a production cost, then fighting against tax corruption in Vietnam will be an uphill battle,” Tran-Nam says. Page last updated: 7/12/2017 2:05 AM Disclaimer Some pages on this website are updated dynamically on a regular basis. This may not be reflected in the ‘Last updated’ date.